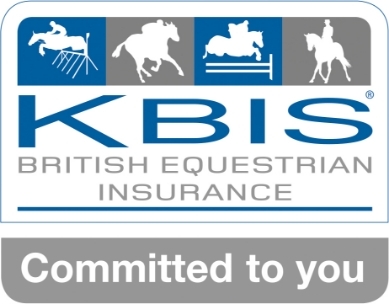 KBIS are delighted to announce a fantastic opportunity for NSEA members to gain an insight into what it would be like to be a sponsored rider, with the chance to win a £500 training bursary. The bursary competition will be split into the age categories; 13 years and under and 14 years and over, a winner will be chosen from each category. A lesson with a KBIS sponsored rider. Branded clothing for themselves and their horse/pony, including a jacket, rug and saddlecloth. Keen to learn and progress in their chosen discipline. Focused on their goals for the year ahead. Committed to working with their trainer and others to achieve their very best. To view Lexi’s and Pippa’s blogs please click here. – Yourself riding your horse or pony in your chosen discipline. It can be at a show, event or schooling at home. Your aims for 2019 and how you would use the training bursary. Alternatively, you can complete this information on the form below. Once you are happy with your video, upload it to YouTube and enter the link below. You can view our 2018 finalists videos to give yourself some ideas – 13 and under finalists videos – 14 years and over finalists videos. Entries open at midday on Friday 22nd February 2019 and will close at midday on Friday 17th May 2019. Entries submitted after this date will not be accepted. Entries will only be accepted via the official entry form below. Before submitting your entry please ensure that you have permission from a parent, guardian, team trainer or head teacher. You will be required to state their name on the entry form below. Please remember your video should be no longer than 3 minutes. A panel of judges will select a shortlist of 5 finalists by Friday 31st May. The 5 finalists will be required to submit to KBIS a blog about what they have done with their horse or pony over the last month, similar to what you would write in your monthly blogs if you are chosen as one of the winners. Finalists will also be required to submit a short written piece about the importance of equine insurance. Both the blog and the written piece about the importance of insurance must be submitted by midday on Friday 14th June. The final winner will be announced on Friday 21st June. NSEA Hoody out on the slopes! Over 250 competitions nationwide with disciplines and levels to suit everyone.